i was going to post this the other day, and saved it as a draft file, because i had a ton more to say. well, i've forgotten what epiphany i was going to share, so here it is, a couple of days late. Ron Martini, the king of submarine bulletin boards, as posted a commencement speach by the XO of sub school, given in 1964. it's at this link. go read it soon, because these messages scroll off into a black hole pretty quickly. You will find that your new shipmates have a personal interest in your qualification, and for a very good reason - they want to be able to sleep at night confident thay you know your job and your ship well enough to perform your watch in a completely reliable manner. You will find that you are not competing against your classmates, but against a set of rigid standards. Standards that have been developed through many years of submarine experience. there are few parallels in the civilian world to what the work environment is like in the military. i can only speak with a modicum of authority about submarines, but i've had many conversations with other military men, and they pretty much all have the same observation. in an office, the workers are supposedly working together to help advance the company. but really happens in many cases is that the individuals are constantly trying to one up the next guy, looking for advancement to the next level. in submarines, at least in the land of the enlisted, that just wasn't the case. why? because we were training our replacements. you wanted out of engineroom lower level? you had to qualify upper level, and then get the new guy trained to take the lower level spot on the watchbill. the better they were trained, the safer you were. 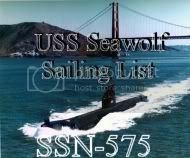 very little of the "dog eat dog" mentality is present in the enlisted ranks of submarines. if you can hack the constant harassment by your shipmates, and can remember simple things like "cut out basket drains on a chloride casualty" you were ok.